Developing a strategic plan is an important part of an organization’s success. Without development at strategic levels chaos may as well ensue. Essentially the strategic framework of an organization is what guides employees and solidifies their role (Peppers & Rodgers, 2011). 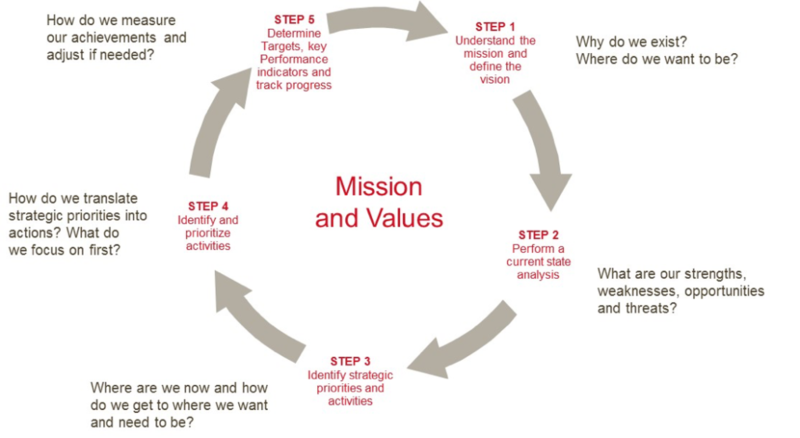 In order to accomplish employee understanding of a company mission, goals, values, and vision needs to be transparent and communicated to employees (Peppers & Rodgers, 2011). Additionally, the strategic framework of a company helps to drive the day to day operations and creates a measure for all employees to ensure they are meeting criteria (Peppers & Rodgers, 2011). The following is a compilation of the strategic framework for StrongArm Inc. for the department of Marketing. This document will include strategic analysis, SMART Goals, future oriented strategies, and policies. 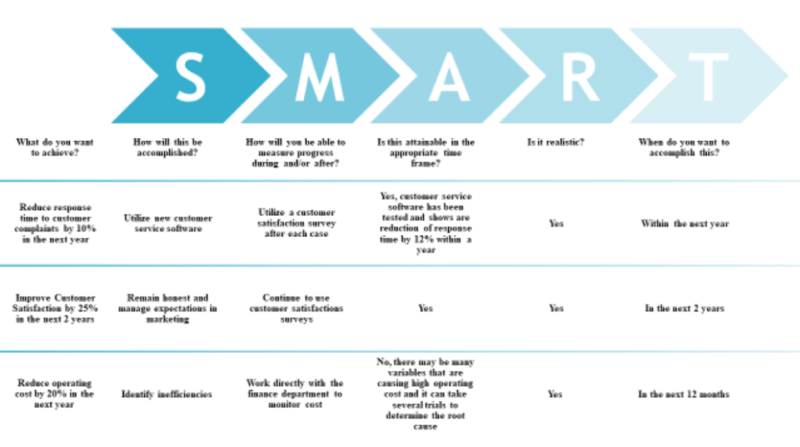 A SWOT analysis acts as an assessment tool in order to evaluate a business or strategic plan (Harmon, 2015). The inner workings of a SWOT analysis can determine the internal and external factors that may affect a business (Harmon, 2015). What follows is a sample summary of feedback on StrongArm’s strengths, weaknesses, opportunities and threats that would be identified by the market, community members and the staff. The gap analysis can help StrongArm because it is designed to measure the difference between current performance and our desired positon (Mercadal, 2015). When coupled the GAP and SWOT analysis can help to provide the opportunity to strategize the ways in which to diminish threats, weaknesses, and expand upon strengths (Mercadal, 2015). Using the GAP analysis StrongArm can provide clarity into three areas: Actual state, Future State, and Solutions or Needs (Mercadal, 2015). 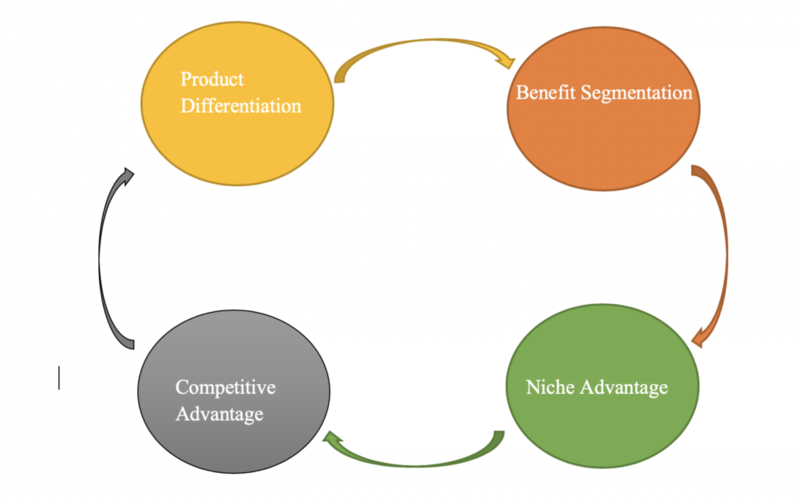 The figure below helps to identify our performance in the marketing department as we currently are in the lower percentile for market share and provide strategies for increasing over time. This strategic plan represents the five year planning cycle for the First Nation and builds upon the previous strategic plan. The key elements of the strategic planning process are outlined in Figure 1 below. Because of the unique product provided by StrongArm Inc. we fill a niche copmetitve advantage. This type of competitive advantage means to target and serve a single segment of a specific market (Brown & Churchill, 2014). Because StrongArm Inc. manufactures sensors that can cross pollenate with other products and be can be adapted to work with other platforms we are also creating a brand differentiation. Our continuation in this market will help to build a sustainable competitive advantage. StrongArm Inc. operates under a departmentalization design. This allows each sector to be organized by jobs they perform (Robbins & Judge, 2013). This also assist senior leaders in being able to concentrate on a specific department to create subject matter experts for each function while still allowing a free flow of information from all ends of the hierarchy. Span of control is another determining factor to instill a departmentalization design. Span of control determines the number of subordinates a manager can efficiently or effectively lead (Robbins & Judge, 2013). 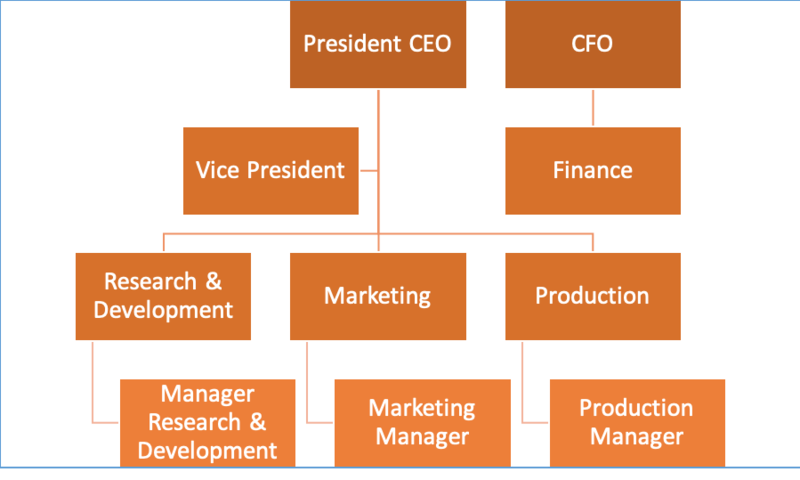 StrongArm understands each member is an expert in their field, this is also why the CFO falls directly under the CEO. In this structure he can advise on financial matters, update the CEO on financial concerns, and assists on the centralization of financial decisions. Based upon the Mission, Vision, Values, and the Current State Analysis, StrongArm Inc. has determined strategic objectives for our Marketing department to be accomplished in the 1, 3, 5 and 7 year range and are considered to be our long term goals at the corporate level. These Priorities will assist StrongArm Inc. in getting where it wants and needs to be. Below is an example of StrongArm Inc. Priorities and Activities. This objective is to improve customer satisfaction to garner customer relationships for old and new customers. The objective is to ensure the targeted customers are aware of our brand. The objective is to put ourselves in a position to sell to more customers. 3. Priority: Improve Distribution Channel Performance (7-year goal). This objective to reach more customers regardless of location. The strategic planning is beneficial in itself for articulating a shared vision of StrongArm Inc’s values, priorities, and initiatives. If it ends there, however, StrongArm Inc. will only realize a small fraction of the ̕benefits that might accrue through full implementation of the strategic plan. In order to gain the full benefit of the strategic plan, it must be implemented in a way that helps to guide all actions of everyone in the hierarchy. For example, it must remain integrated in annual planning, decision making, and reporting. Finally, it must also remain in the minds (and hearts) of the people. Strategic objectives and initiatives will be embedded in our website. StrongArm’s Enterprise level strategy strongly stresses the importance of stakeholder theory. We take pride in caring for our customers, shareholders, society, the community, and our employees. All of our strategic objectives are aimed to increase profit, improve the quality of our product, provide a safe/secure environment, and to engage in the highest care for our customers. Reflecting on our mission, purpose, vision, and corporate philosophy statements we truly believe these goals align with our values. Brown, T. J., & Churchill, G. A. (2014). Basic marketing research: Customer insights and managerial action. Stamford, CT, USA: Cengage Learning. 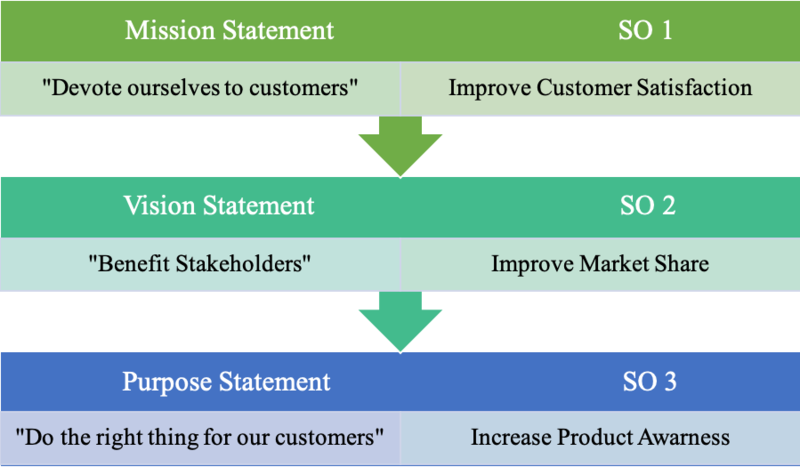 Payne, A., & Frow, P. (2005) A Strategic Framework for Customer Relationship Management. Journal of Marketing: October 2005, Vol. 69, No. 4, pp. 167-176. Peppers, D., & Rogers, M. (2011). Managing Customer Relationships: A Strategic Framework (Vol. 2nd ed). Hoboken, N.J.: Wiley. Robbins, S. P., & Judge, T. (2013). Organizational behavior. Boston: Pearson. ← Are you a Leader or a Manager?